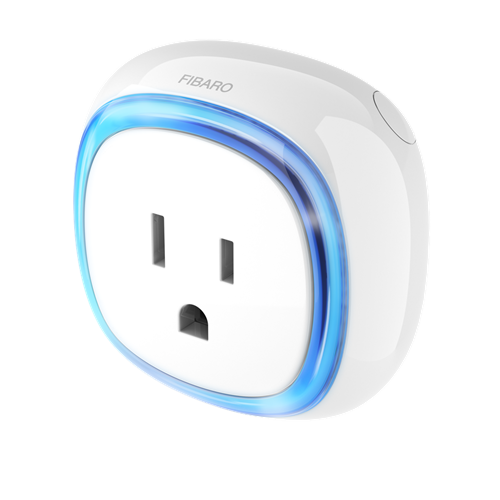 The Fibaro FGWPB-121 is a wall plug switch. 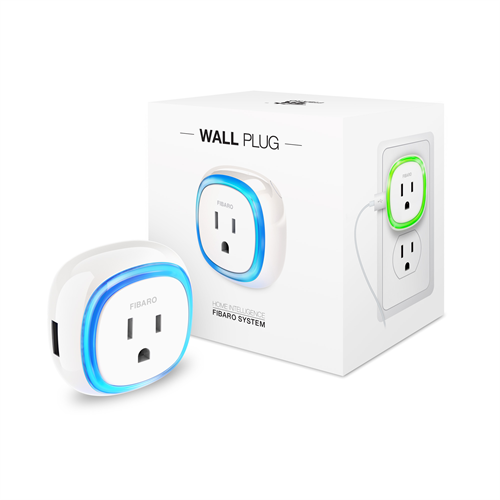 Simply plug it into a standard electrical receptacle, then plug-in your lamp or appliance and get near-instant automation. It features a bright multi-coloured LED that will change colour to indicate state changes in your device. It also comes with a USB charging port with Z-Wave energy reports to let you know when your smartphone or tablet is charged. Like most plugs, the FGWPB-121 has a load limitation, but unlike its counterparts, it will monitor power draw on any device you plug into it. Should it detect an overload, it will switch off automatically to prevent surge related damage to your device. The FGWPB-121 is Z-Wave Plus certified to permit compatibility with most Z-Wave certified automation controllers such as Vera, SmartThings, HomeSeer, Nexia, etc. allowing for powerful automation that can have it turn lights on/off, turn on fans, coffee machines and more. Z-Wave Plus also means an improved wireless range as well as an improved response time due to an increased bandwidth.